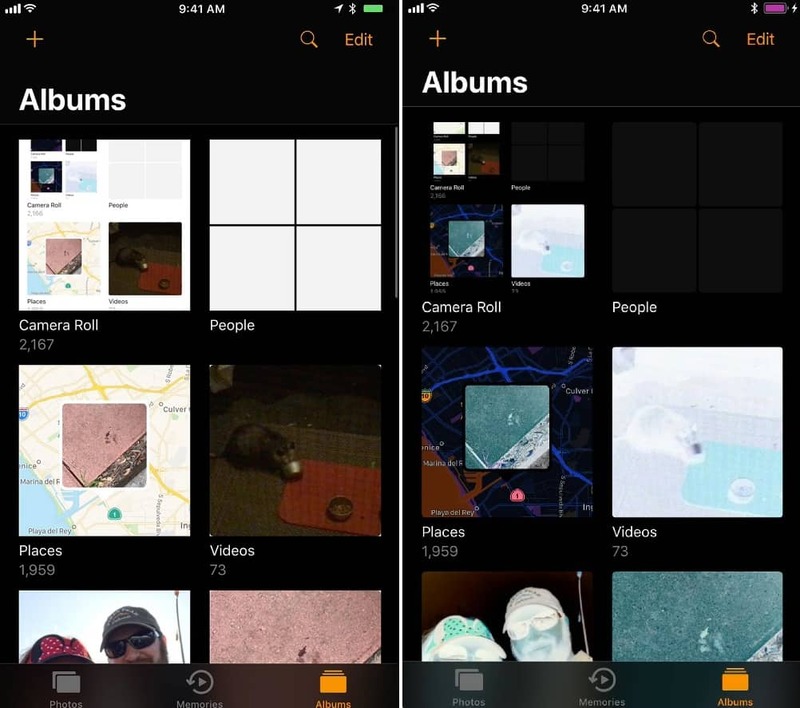 “Dark Mode” feature has been something that every iOS user wants on their iPhone. Earlier this week, when Apple officially unveiled iOS 11 with a host of new features, it was expected that the iOS update would come with long-awaited ‘Dark Mode’ feature. But, the tech giant has not introduced the ‘Dark Mode’ feature yet. 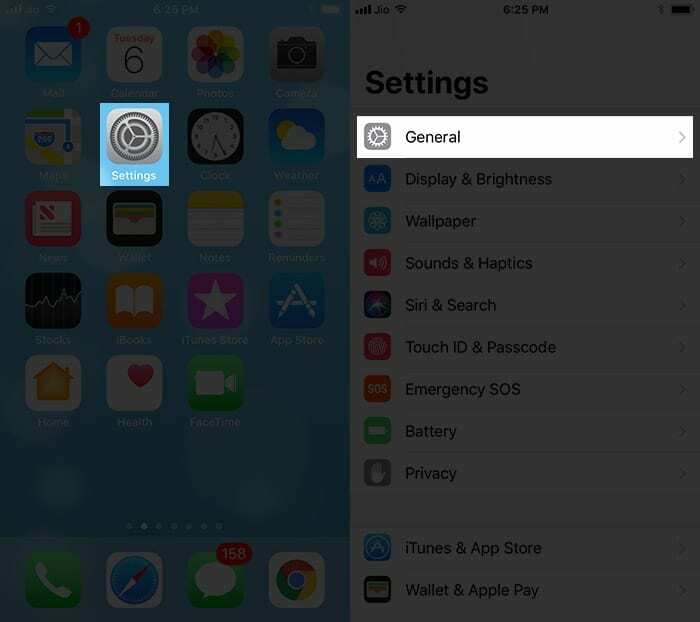 While iOS has had the ability to have its colors inverted as part of an accessibility option for a long time now, a true dark mode has been longed for on a more aesthetic basis, and it was hoped that iOS 11 would bring such a feature to the iPhone and iPad. Unfortunately, that didn’t happen. One thing that is new, however, is a “Smart Invert” accessibility feature. Calling it as “redesigned invert colors,” Apple has developed this new and improved dark skin for the iPhone. While it’s not exactly the Dark Mode we wanted, “Smart Invert” reverses the colors of the iPhone’s display, just like the “Classic Invert” did all these years. 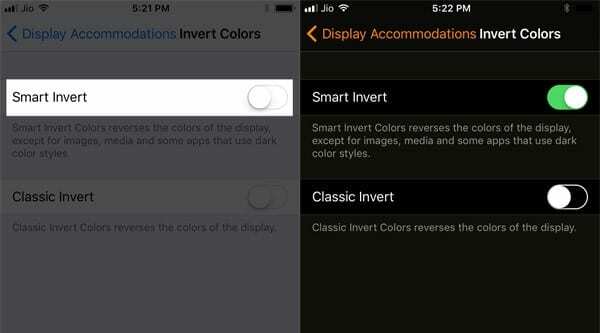 Better than classic Invert Colors, “Smart Invert” won’t reverse the colors of images, media and some apps that use dark color styles. The Maps app looks exactly the same with both. How to Enable Dark Mode in iOS 11 on iPhone and iPad? Step 1: Head to the Settings app and navigate to General > Accessibility > Display Accommodations > Invert Colors. Step 2: Then toggle on “Smart Invert” option from the menu. That’s it! You have successfully enabled dark mode on your iOS device. Now, this feature is only available in a beta version to iOS developers. It’s possible that Apple will end up introducing Dark mode officially in iOS 11 when it announces the iPhone 8 later this year. Are you glad to see ‘Dark Mode’ finally finding its way into iOS devices?